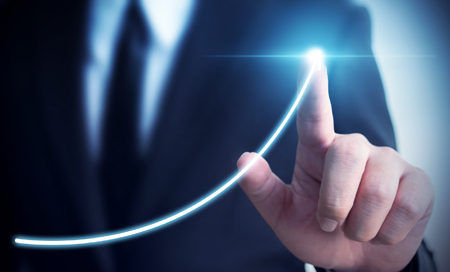 NAB’s business confidence index jumped four points in December as business confidence and business conditions begin to converge. 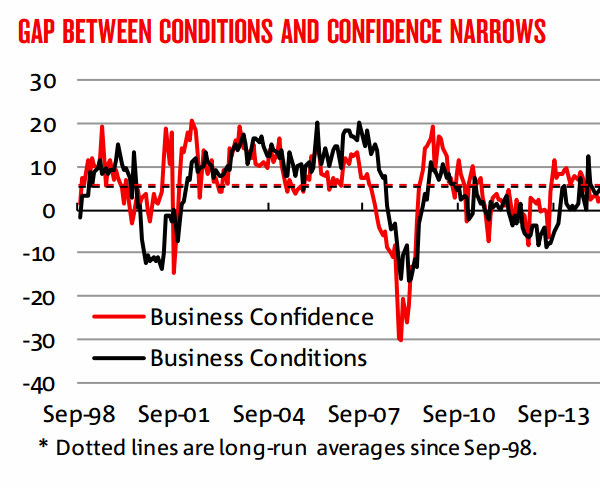 According to the latest results of NAB’s monthly business survey, business confidence has “almost” caught up to business conditions. The business confidence index rose four points to 11 index points in the December 2017, the highest level since July 2017 – while the business conditions index remained unchanged at 13 points. “This has helped to narrow the perplexing gap between business conditions and confidence evident over the past couple of years, and is an encouraging signal for investment,” NAB group chief economist Alan Oster said in a statement. The higher reading in business confidence was “perhaps driven by a stronger global economic backdrop”, as well as strong conditions across all industries bar retail. “The construction industry is performing well, thanks to support from a large pipeline of residential construction and stronger non-residential building approvals,” Mr Oster said. “Mining has also gone from being a major drag on the index to experiencing above average business conditions. Retail stood as the only industry that was a “consistent underperformer” and reporting negative business conditions. Mr Oster also pointed out that employment growth figures were overstated and falling from its “current extraordinary heights”. “Official employment figures show extraordinary employment growth of over 400,000 over the year to December,” he said. “The NAB Business Survey employment index on the other hand has not experienced the same wild swings in recent years, and tends to suggest the official figures may be currently ‘overstating’ the degree of job creation.